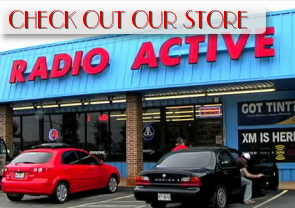 Radio Active Car Stereo has been serving the south side of Atlanta for over 25 years! We are the Car Stereo shop you know and trust to bring you the finest in auto and truck accessories. Brands you must have like JL Audio, Pioneer, Alpine, Kenwood, Memphis, Viper security systems, and a ton of others. We have two locations to better serve you: Jonesboro and in Locust Grove, I 75 @ EXIT 212. Whether it be audio, video, security, truck accessories, spray on bedlining, window tinting, or the high performance that you are looking for, RADIO ACTIVE has your ticket.